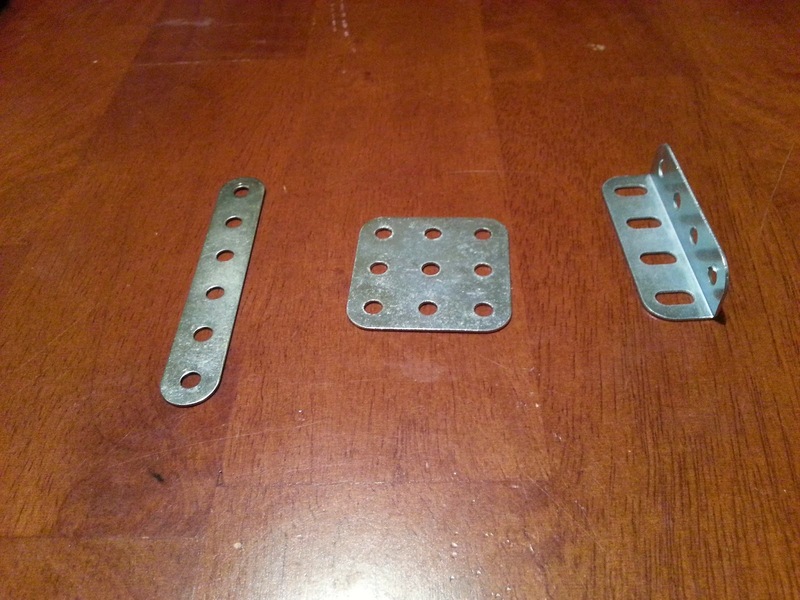 To build the frame of the robot I used hobby plates and brackets that I got from Lowe's. Figure 0 shows three of the style parts used to build the frame. There were various designs that I came up with but the best one is the one that can be seen in Figure 1. 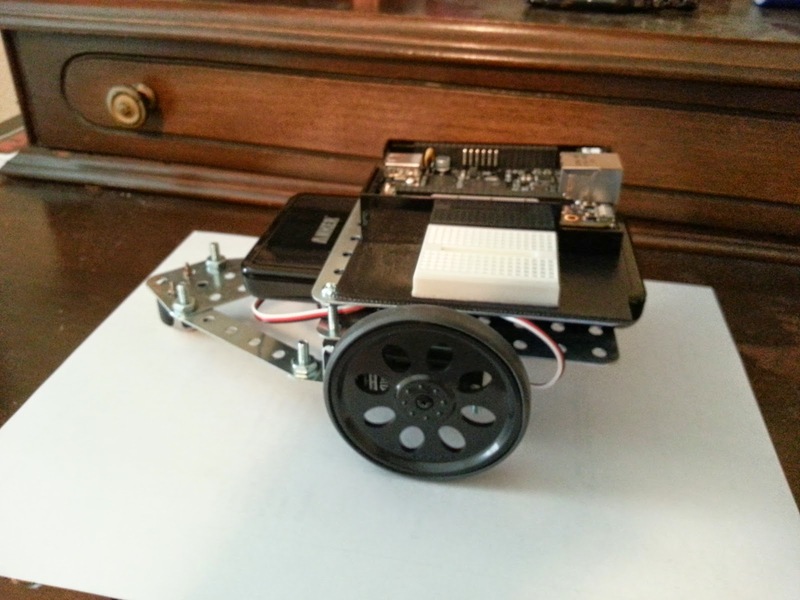 With this design the robot is very easy to break down. The two platforms that hold the BeagleBone Black and the Anker battery are free floating. When I remove the battery I can easily remove the wheels and servos. I did this so I could do a quick field dis-assembly in case I needed the servos for another project. The platform that holds the BeagleBone Black is a perfect size for holding a mini-breadboard. I will need the breadboard to add components such as resistors and buttons. 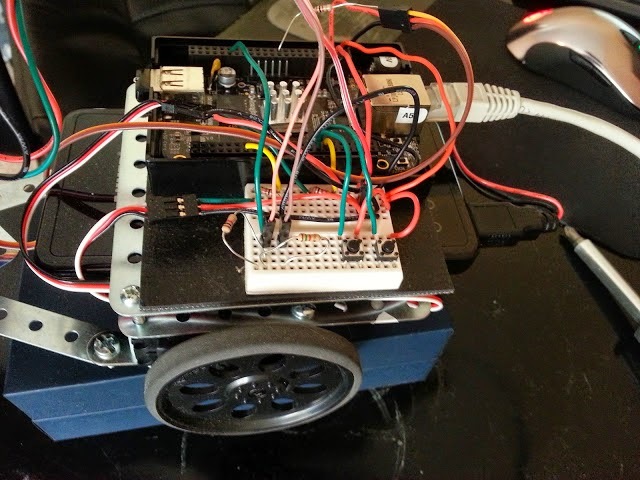 It also will make connecting the servos and the IR distance sensor a lot easier. 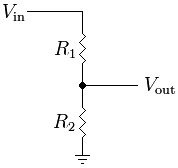 See Figure 2. 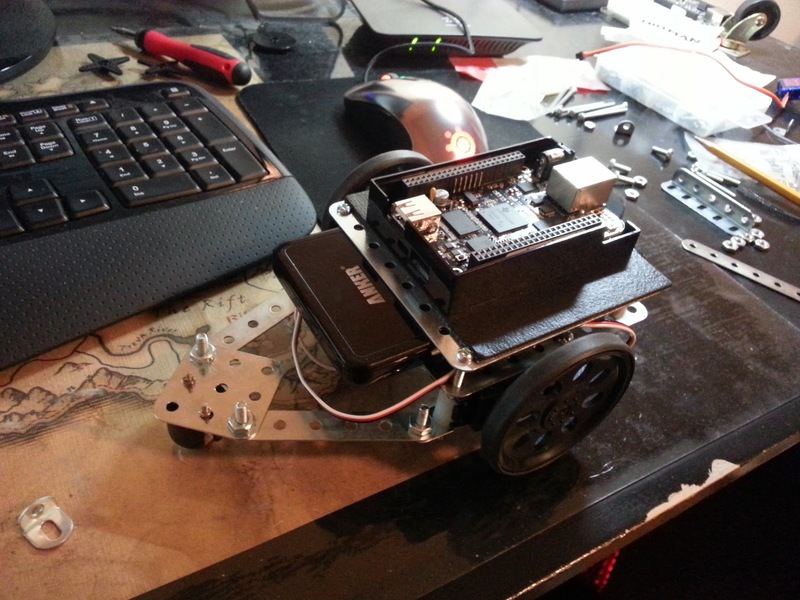 To mount the micro-servo on the front of the robot I used a hot glue gun. I also used hot glue to hold the BeagleBone Black case. With everything solid I was then able to wire the various components. For the IR distance sensor I had to make a voltage divider circuit because the analog pins on the BBB can only handle up to 1.8 V. To make sure I was not going to brick my BBB I connected the IR sensor to a multimeter to check the voltage divider circuit in Figure 3. The voltage divider never went over 1.6 V on the multimeter so it should work. 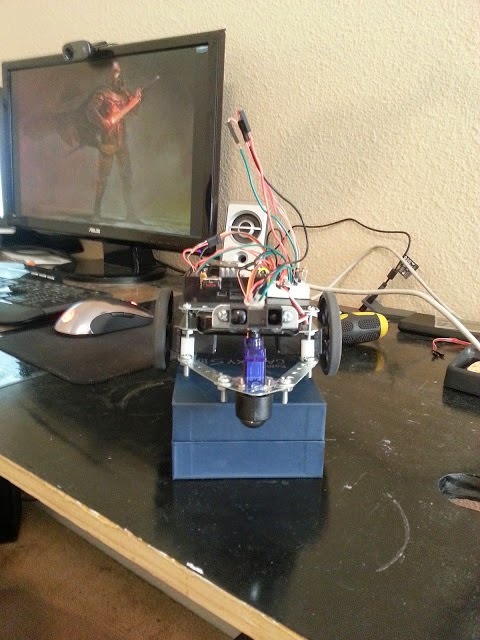 With everything ready I wired up the servos, IR sensor, and two push buttons. It looks like a mess but everything connected to the BBB can be seen in Figure 4 and Figure 5. Hello, Can you add the images of Figure 3 - Figure 5, if you still have? It seems it can not be loaded. Which parts are you using for building robot frame in detail? can u share circuit diagram. I am confused, all site says that we need to be extra careful using pwm pins for amount of current source or sink need to be very low plus voltage should be also low. I donot see any voltage regulator or transistor in your project.